There are a few reasons you might want to duplicate (clone/copy) your Raspberry Pi’s Secure Digital High-Capacity (SDHC) card. I had two, backup and a second Raspberry Pi. I spent untold hours installing and configuring software on your Raspberry Pi with Java, OpenCV, Motion, etc. Having a backup of all my work seemed like a good idea. Second reason, a second Raspberry Pi. I wanted to set up a second Raspberry Pi, but didn’t want to spend the time to duplicate my previous efforts. Nor, could I probably ever duplicate the first Pi’s configuration, exactly. To ensure consistency across multiple Raspberry Pi’s, duplicating my first Raspberry Pi’s SDHC card made a lot of sense. 1) Remove the original SDHC card from Raspberry Pi and insert it into a card reader on your computer. I strongly suggest locking the card to protect it against any mistakes while backing up. 2) Locate where the SDHC card is mounted on your computer. 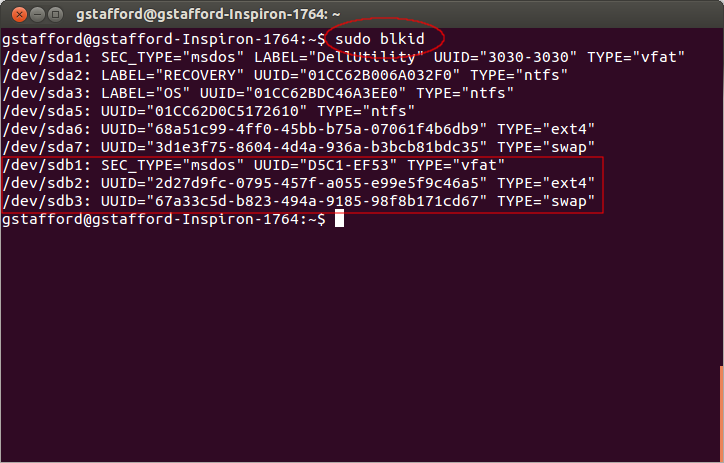 This can be done using GParted, or in a terminal window, using the ‘blkid’ (block device attributes) command. My Raspberry Pi’s SDHC card, with its three separate partitions was found at ‘/dev/sdb’. 4) Unmount and unlock the original SDHC card. Mount the new SDHC card. It should mount in the same place. Using ‘dd’, backups and restores the entire SDHC card, partitions and all. 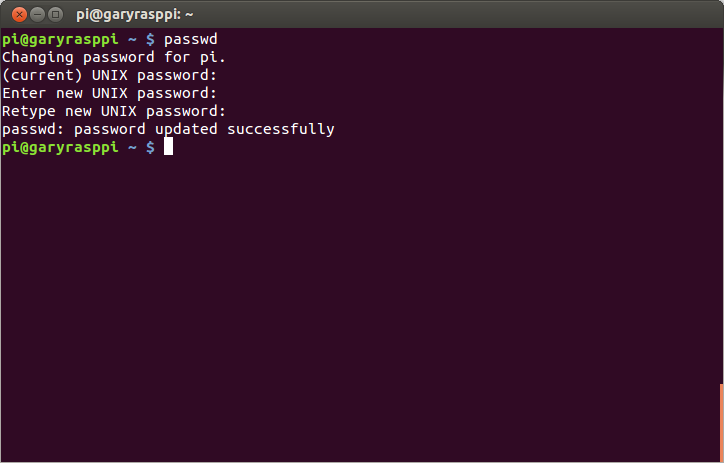 I was able to insert the card into a brand new Raspberry Pi and boot it up, without any problems. This entry was posted on February 12, 2013, 8:52 pm and is filed under Software Development. You can follow any responses to this entry through RSS 2.0. You can leave a response, or trackback from your own site. Hi, Thanks for writing this article. I successfully copied 8GB card into my computer, but when i copy the backup .bin file to a 16GB card, after 30 mins nothing seems to be advancing in the dd command. When i try wih file explorer my SD Card has same old content with one single partition. I wonder whether it will work from 8GB to 16GB, or is it that i should unmount the card before copying the backup ? Any clue ? My first guess is that it didn’t finish or it was copying to the wrong location. I usually copy to a blank card not one with current content. As you gussed, it took more than an hours to copy 8 GB of card, since there is no progress indicator in the console i was lost. Thanks anyways.